“Money Makes The World Go Round” is a song from the iconic film Cabaret that outlines the stark contrast between the lives of those that have money and those who do not. When you run a business it seems even more the case! There are times when you need money to move your business forward and make money but you are having difficulty obtaining a business loan to be able to do this. It seems that you’re stuck in a vicious circle. In order to be able to raise finance when you need it, the best thing to do is to continually work to improve your credit score. Your credit score indicates your ability to manage existing credit and the affordability of taking on new credit. Every adult in the UK has a credit score: it is not something that you have to request. So, whether or not you know what it is, it is there for lenders to view and to influence their decision to lend to you. In the UK there are three main credit reference agencies: Experian, Equifax and Call Credit. These companies compile your credit score based on a report with information from a number of different sources, including financial institutions, the electoral roll and county courts. Your credit report is then sold to lenders to help them to decide whether to lend you money. If you have a poor credit score you are likely to find it difficult to get a personal or business loan. Keep your personal details up to date. Make sure your current address is registered to all your bank accounts and credit cards, and also that you are on the electoral roll. If you have moved recently it can be time consuming to catch up with all these things but most lenders do check them to prevent identity fraud, so it is well worth doing to avoid complications arising. Build a credit history. Some people think that it’s best to have no debts at all but in fact it’s good to use a bit of credit so that you build up a credit history. So do use a credit card or overdraft from time to time as needed but ensure you then pay it off in full if humanly possible so that you do not slide into larger debt. Lenders look at how you have handled credit so far to help them make lending decisions so if they have no evidence to go on they may refuse your business loan simply on those grounds. Keep up to date with your payments. If you do use a credit card or store card then keep up your payments as late payments do start counting against you very quickly in terms of your credit score. It’s best to pay off in full every month, but if you really can’t do this then ensure you pay at least the minimum amount - and pay on time: days do matter! If you are in genuine difficulties and can’t pay then contact your credit card company straight away to work something out with them and avoid damaging your credit score further. Keep balances low. It really is a question of balance! If you have no credit card history they lenders don’t like that. But if you overuse them they don’t like that either! But if you have balances on too many credit cards or these balances are too high then this could indicate that you are using too much credit and may not be able to afford any further lending. Close old accounts and credit cards. If there are accounts and cards you are not using and do not intend to use then it may be worth closing these. If a lender sees that you have a lot of credit available on credit cards they may be reluctant to give you a business loan in case you suddenly use all your other credit and are then unable to make repayments. Be cautious about applying! Every time you apply for a business loan - or any other type of credit - the lender will search your credit report and this search is itself then recorded as part of your credit report. Another lender will therefore be able to see if you have recently applied for a business loan and been turned down, and may then also refuse you. So it is vital to choose your time wisely to apply and be confident that you are in a strong position to be accepted, because one refusal can lead to a downward spiral in terms of your apparent creditworthiness to other lenders. Be in the know about your credit score. Last but by no means least! You need to have the information about your credit score at your fingertips. Don’t bury your head in the sand: you need to know what lenders will see when you apply for a business loan. Even if it’s not good news, it’s better to know than not know. You can subscribe to any one of the credit reference agencies mentioned above and can then check your credit score regularly. You can see it improving as you implement the above steps, and will know when is a good time to apply for a business loan. You can also check that there is no incorrect information or unauthorised activity there and contact the credit reference agency if you do spot anything so that it can be sorted out and not impact on your credit score. If you follow the above seven steps you will gradually see your credit score improve. However, if you are in urgent need of a business loan but your credit score is not currently healthy then don’t despair! 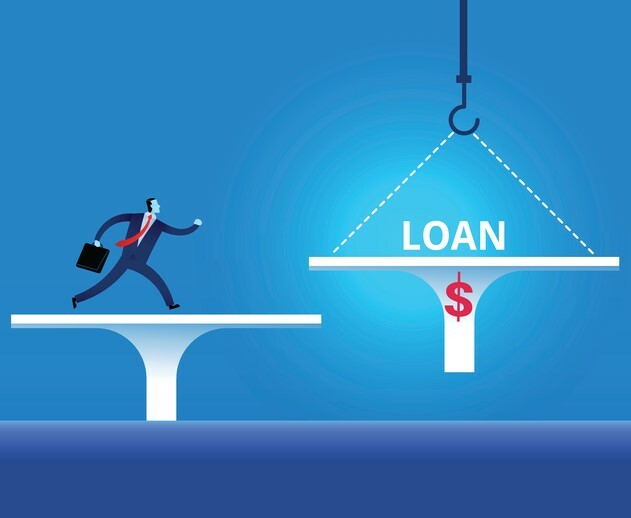 Whilst many of the big banks and other more traditional lenders will not give a business loan to those with poor credit rating, other more forward thinking lenders may well do so. At Fair Business Loans we consider every case on its merit not solely on credit scores. We have helped many small businesses move forward from difficult situations to positions of growth and strength. If you need help with a business loan but are worried about your credit score why not get in touch with us to see how we may be able to help you?